Wer weiß, wie nahe mir mein Ende? (Who knows how near to me my end? 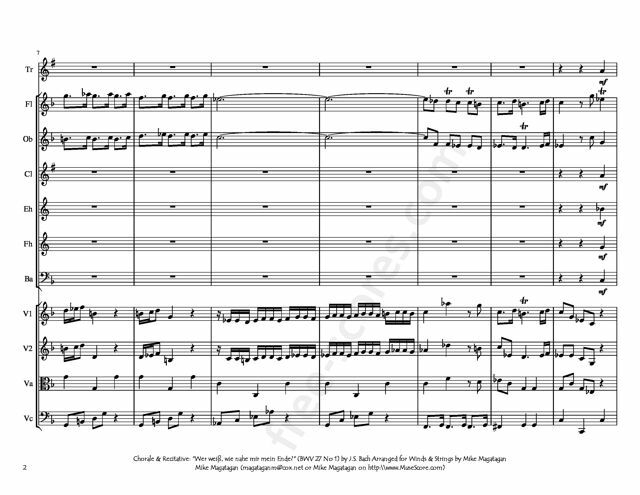 ), BWV 27,[a] is a church cantata by Johann Sebastian Bach. 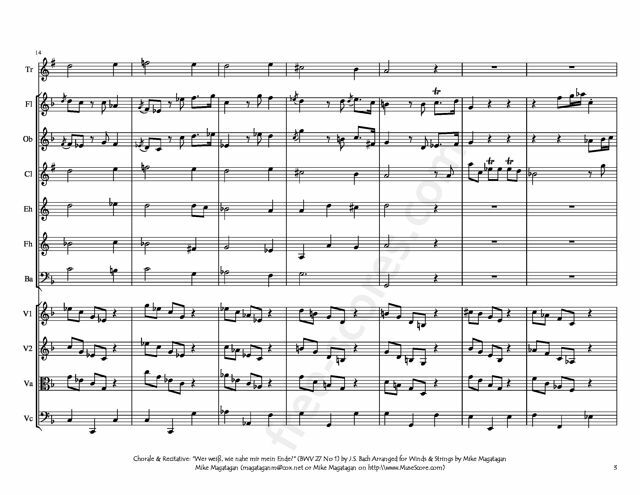 He composed it in Leipzig for the 16th Sunday after Trinity and first performed it on 6 October 1726. 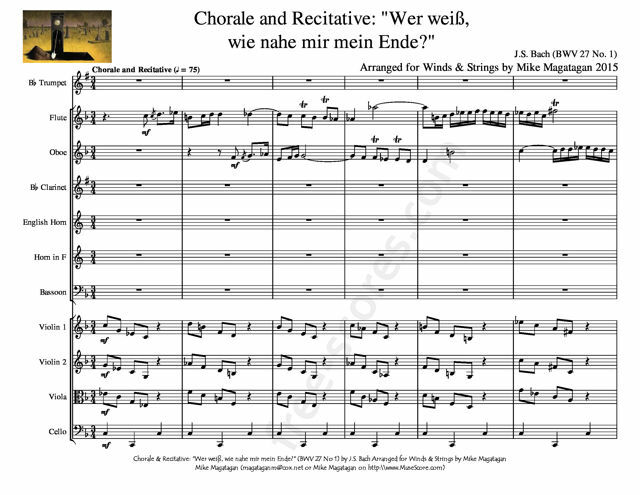 I created this arrangement of the opening Chorus & Recitative: "Wer weiß, wie nahe mir mein Ende? – Das weiß der liebe Gott allein" (Who knows how near my end is? 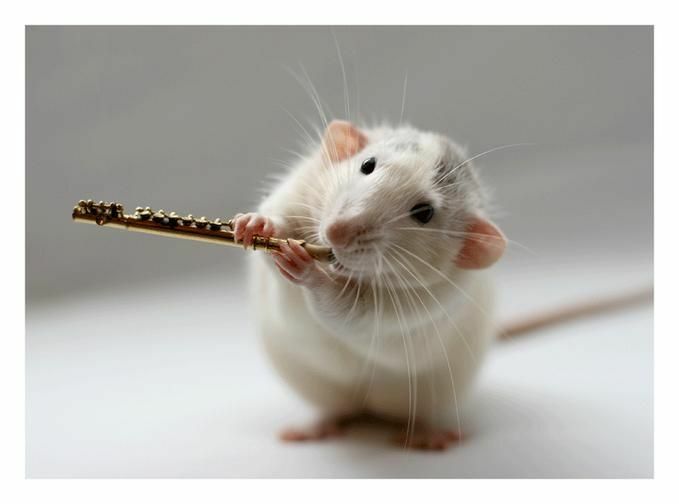 It is known to dear God alone) for Winds (Bb Trumpet, Flute, Oboe, Bb Clarinet, English Horn, French Horn & Bassoon) & Strings (2 Violins, Viola & Cello).